This year the Club's annual fundraiser will be held on Saturday 22nd July. 7 pm to 11 pm. Tickets are $60 per double and can be purchased from the club or ring Sean Clarke (0422109667). 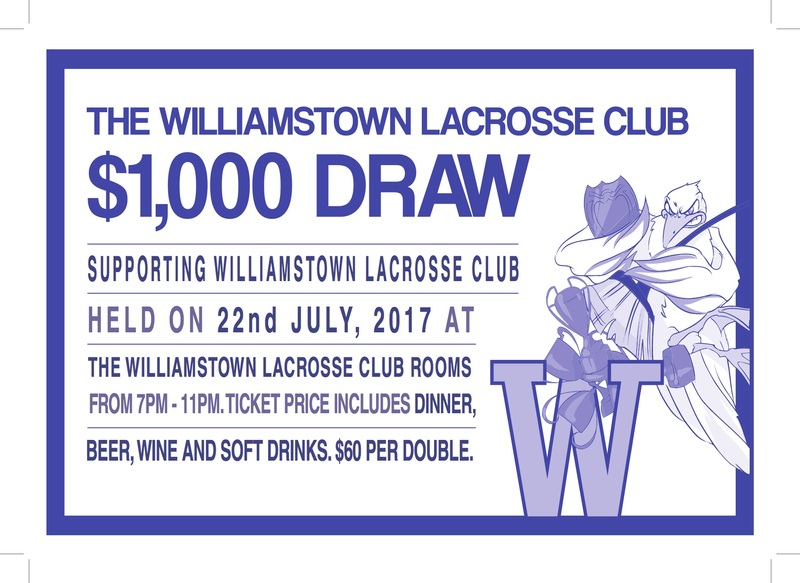 Included in entry is a ticket in the $1000 reverse draw, dinner and beer, wine or soft drinks for two people. The rescheduled combined training session is on Thursday 3/8/17 from 6 to 7 pm. This is a great time where our juniors train with the seniors followed by a sausage sizzle. Thanks to Janine and her small band of helpers. Your efforts are greatly appreciated by all. However we do need more supporters to put up their hand and assist on a Saturday night If you can help out please call Janine on 0421792223 or see her Saturday nght at the club.